McCartney’s latest album is available on LP as well as CD and digital formats. 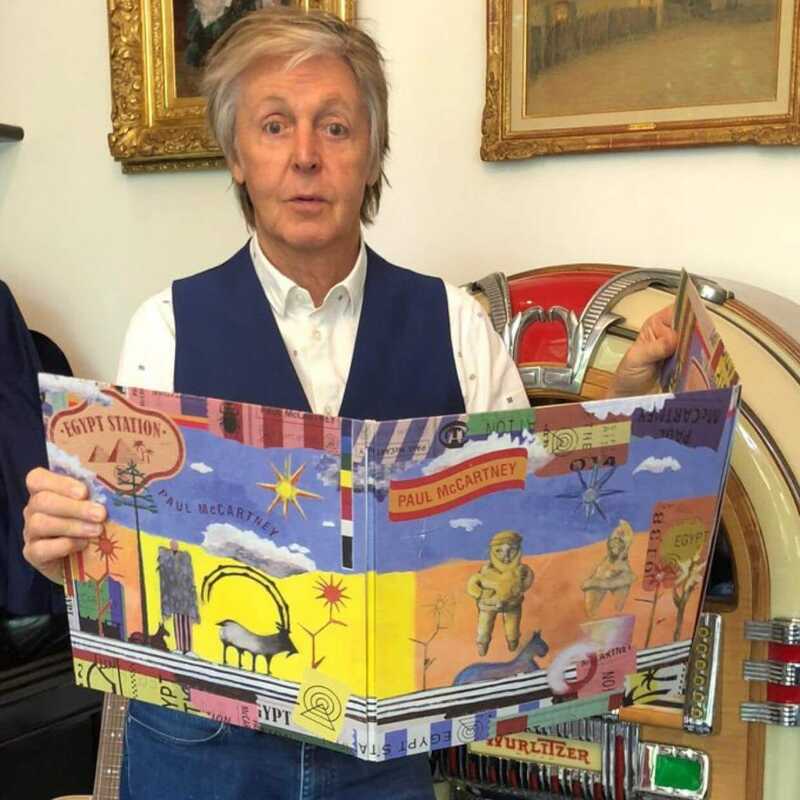 Friday, Sept. 7, was quite a day for Beatles fans, especially in New York, with the release of Paul McCartney’s new album, “Egypt Station”; the ceremonial unveiling of the John Lennon U.S. Postal Service Forever stamp at the Central Park bandshell in the morning; and Macca’s “surprise” concert at Grand Central Terminal that evening. 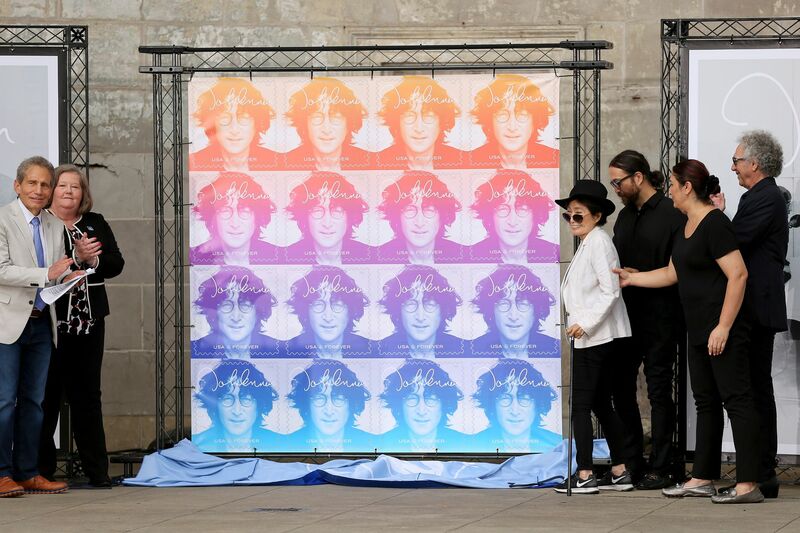 The Lennon stamp, unveiled in New York City, is part of the USPS Forever series. Having the Lennon stamp dedication at the bandshell made perfect sense. It’s just down the hill from Strawberry Field and, by extension, the Dakota. In the fall of 1974, Lennon cavorted for film cameras at the bandshell for the original “Whatever Gets You Thru the Night” promo video (footage now officially in the “Mind Games” video, which was shown at the stamp ceremony). And, on the Sunday afternoon after Lennon’s murder, the bandshell was the central point for the worldwide silent vigil for John. 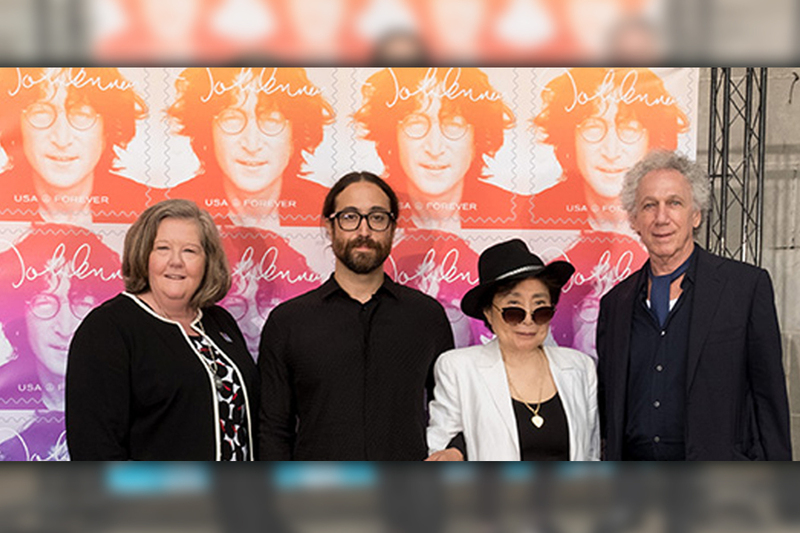 From left are Postmaster General Megan J. Brennan, Sean Lennon, Yoko Ono Lennon and Bob Gruen, who took the photo used for the stamp. The ceremony was notable for rare public speaking appearances by Sean Lennon and his now-very-senior mother, Yoko Ono, as well as veteran photographer Bob Gruen, who took the photo for the “Walls and Bridges” album used for the stamp. And, emcee Dennis Elsas announced at the ceremony’s conclusion that USPS trucks at the back of the bandshell area would have the stamps available for sale, which was not the case at many post offices around the country. First, having just passed the 25th anniversary of Billy Joel’s last album of new material, and with Elton John commencing a long farewell tour and Paul Simon releasing an album of reimaginings of some of his older songs as he prepares for his retirement from public performance, it’s so nice to see Macca release an album that shows he’s still really trying. “Egypt Station” shows that, musically, McCartney is still trying. There’s a lot on “Egypt Station” — bows to the contemporary music landscape, message songs, a would-be peace anthem, a protest song that couldn’t be timelier, Brazilian samba, old-school horny rock, an ode to an old guitar, and more. As I write this, I’ve only had three complete listenings to the album, but I’ve liked it more each time (including the two Target bonus tracks). 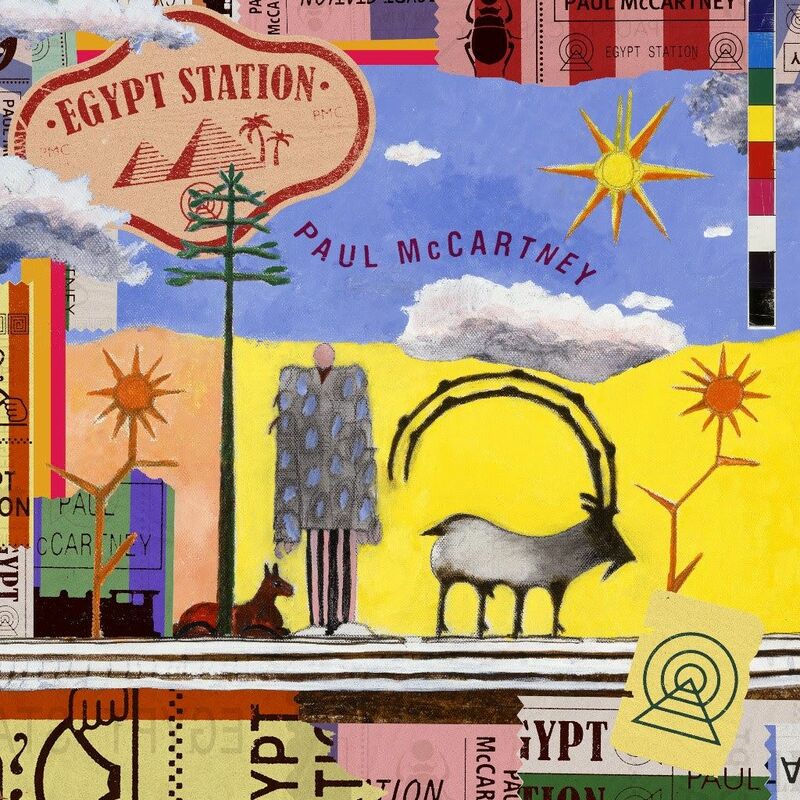 “Egypt Station” has the potential to be considered at least on a par with McCartney’s overall fine 21st century work. 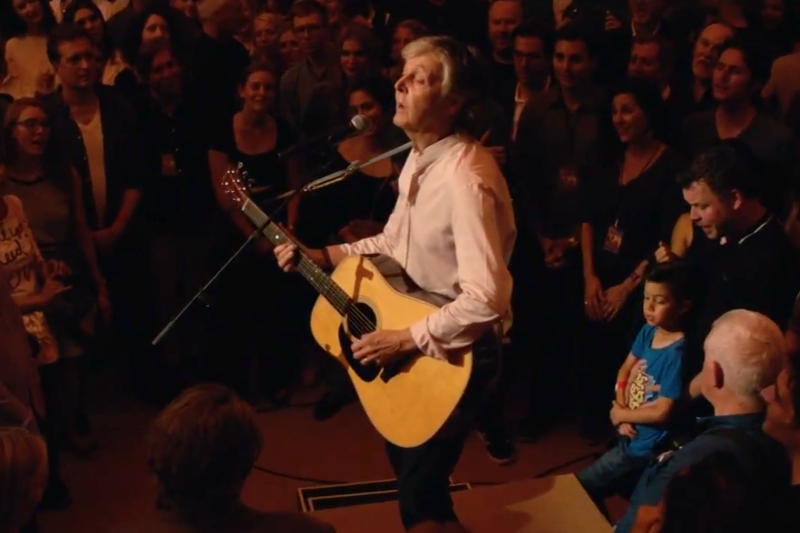 Then, there was Friday night’s show at Grand Central, which was livestreamed on McCartney’s YouTube channel. A lot of fans still look at Macca through the lens of Beatle Paul from 1964, or the leader of Wings on one of the 1970s’ biggest tours. In both cases, that’s a long time ago. Performing for an invitation-only audience at New York’s Grand Central Terminal. The fact is, the man is 76 years old. He uses a teleprompter and, after a week of talking to various media to promote “Egypt Station” — and in a space not really made for rock music performances — his voice turned ragged fairly early in the hour-and-40-minutes concert. On social media, people were expressing shock and heartbreak at this. Again, he’s 76. Remember what Frank Sinatra sounded like when he was 76? And he wasn’t playing a variety of instruments (I counted five different ones that Paul played that night, and that didn’t even count the bullhorn!). At a time when Elton and Simon are leaving the stage, or preparing to, and Joel is content to continue playing the oldies at his arena and stadium shows (he was at Wrigley Field in Chicago even as Macca was onstage at Grand Central) rather than write or record new material, McCartney should be given props for staying in the game. He is still recording albums that show, at the very least, he’s trying. And, he’s playing concerts around the world that entertain the most generationally diverse audience in the pop music business. If his vocal instrument is showing some wear and tear, well, that is what happens as we reach a certain age. This entry was posted in Uncategorized and tagged Al Sussman, Beatlefan, Big Apple New York City, Billy Joel, Bob Gruen, Central Park, Dennis Elsas, Egypt Station, Elton John, Frank Sinatra, Grand Centeral Terminal, John Lennon, Paul McCartney, Paul Simon, Sean Lennon, Something New: The Beatlefan Blog, The Beatles, USPS Lennon stamp, Walls and Bridges, Whatever Gets You Thru the Night, Wings, Yoko Ono, YouTube. Bookmark the permalink. As someone who has listened to Egypt Station twice so far and who enjoys his later, 21st century solo work more than his pre 1997 solo music, I’m happy to say that in my opinion he’s doing much more than just trying. No his voice isn’t what it once was but he makes up for that with lyrics, melody and arrangement. Starting with Flaming Pie, his songs since have so much personal meaning. He doesn’t only use lyrics to convey that, but music also. That seems to be missing in his earlier albums, at least for me. Let’s put it this way. I love Band on the Run but when I’m in the mood for McCartney I don’t pick that to listen to. I’m more inclined to reach for New or Electric Arguments, and now Egypt Station.